The gift of speaking in tongues is a spiritual gift. It means speaking with words or in a language one doesn’t know in order to edify both oneself and others. Jesus foretold of speaking in tongues: “And these signs will follow those who believe… they will speak with new tongues.” Mark 16:17. The first time anybody spoke in tongues was on the day of Pentecost, when the Holy Spirit was poured out on the apostles, as related in Acts 2:1-12. The apostles spoke the gospel to the crowds in Jerusalem, and what they said could be understood by people speaking many different languages: “… we hear them speaking in our own tongues the wonderful works of God.” Acts 2:11. 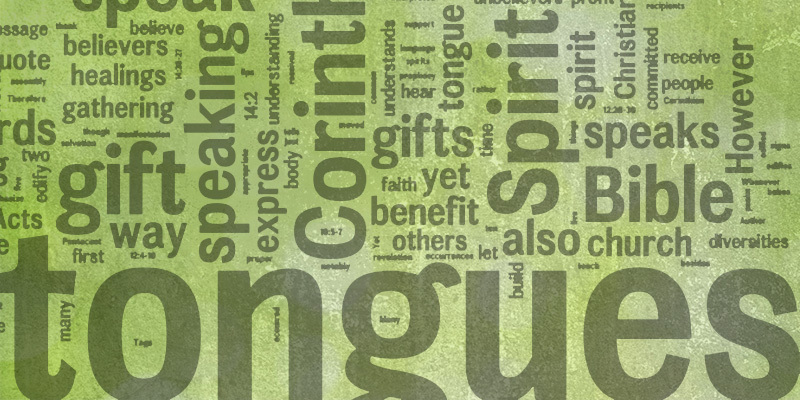 Later Paul also writes about the gift of speaking in tongues, in 1 Corinthians 12 and 14. However, here he writes that the person speaking in tongues doesn’t speak in an understandable language: “no one understands him; however in his spirit he speaks mysteries.” 1 Corinthians 14:2. Yet this gift that has been given to believers can be of benefit to the recipients and used to edify others in Christian gatherings. Much of what is written in the Bible about this gift is written by Paul to the Corinthian church. Apparently many of them had received this gift but did not understand the proper use of it in their gatherings. Paul attempted to help them understand its purpose: “There are diversities of gifts, but the same Spirit. There are differences of ministries, but the same Lord. And there are diversities of activities, but it is the same God who works all in all. But the manifestation of the Spirit is given to each one for the profit of all: for to one is given the word of wisdom through the Spirit, to another the word of knowledge through the same Spirit, to another faith by the same Spirit, to another gifts of healings by the same Spirit, to another the working of miracles, to another prophecy, to another discerning of spirits, to another different kinds of tongues, to another the interpretation of tongues.” 1 Corinthians 12:4-10. The gift of speaking in tongues was one of many given to believers to aid in the building up of the body of ChristThe body of Christ is made up of all of those who give their lives to serve God in order to come to the fullness of Christ. They work in the ministry that He has appointed them, which differs from person to person, for the edification of themselves and others to bring all to unity. It is made up of... More, which is the ChurchMany people use the word to denote the entire body of Christians, and others to describe a certain denomination or group or even the physical building that Christians gather in. The Bible makes it clear that the true church of Christ is made up of all those who deny themselves, take up their cross, and follow Him. (Ephesians 2:19-22; Matthew... More. Speaking in tongues in itself can benefit a person. Paul states: “He who speaks in a tongue edifies himself.” 1 Corinthians 14:4. Speaking in tongues can help you express what is in your spirit and which you cannot express with words. Paul makes it clear that the best way to edify the church is to speak prophetically, with “plain” words that build faith and understanding for all who hear the message. “I thank my God I speak with tongues more than you all; yet in the church I would rather speak five words with my understanding, that I may teach others also, than ten thousand words in a tongue.” 1 Corinthians 14:18-19. However, speaking in tongues can also be of “profit to all” in a Christian assembly if it is interpreted to a common language of those in the gathering: “How is it then, brethrenThe “brothers” and “sisters” are those who are a part of the church of Christ. 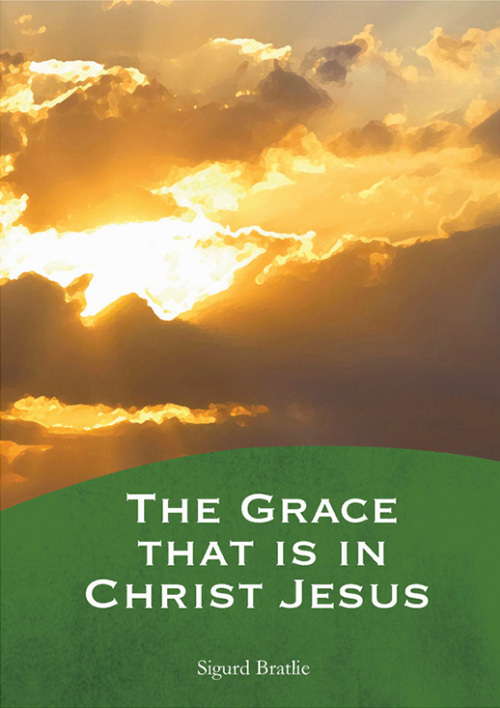 (Matthew 23:8; Matthew 12:50; Hebrews 2:10-18)... More? Whenever you come together, each of you has a psalm, has a teaching, has a tongue, has a revelation, has an interpretation. Let all things be done for edification. If anyone speaks in a tongue, let there be two or at the most three, each in turn, and let one interpret.” 1 Corinthians 14:26-27. When used in this way, the gift of tongues should be used to emphasize and support the spiritual message, and not because you feel strongly moved in your emotions. In this way, others besides the one speaking in tongues will be edified. There is another reason the gift of tongues is given: “In the law it is written: ‘With men of other tongues and other lips I will speak to this people; And yet, for all that, they will not hear Me,’ says the Lord. Therefore tongues are for a sign, not to those who believe but to unbelievers.” 1 Corinthians 14:21-22. In this way, it could benefit those who attend a gathering but have not yet committed their life to Christ. There are also occurrences in the book of Acts in which people who were baptized with the Holy Spirit spoke in tongues at the same time. This occurred most notably on the day of Pentecost when the baptism of the Holy Spirit was given for the first time, though it did also occur at other times (see Acts 1 and Acts 19:5-7). However there is nothing written that these two always are to occur together. It is expressed in the Bible that not all believers will receive this gift: “God has appointed these in the church: first apostles, second prophets, third teachers, after that miracles, then gifts of healings, helps, administrations, varieties of tongues. Are all apostles? Are all prophets? Are all teachers? Are all workers of miracles? Do all have gifts of healings? Do all speak with tongues? Do all interpret?” 1 Corinthians 12:28-30. We can see here that only some will receive the gift to speak in tongues, just as only some are called to be apostles, etc. As with all gifts of the Spirit, the speaking of tongues is not necessarily a sign of spiritual maturity. Many of the Corinthians spoke in tongues but Paul states that they were “babes in Christ.” (1 Corinthians 3:1) However, when used in an orderly and appropriate manner, it can be used to build up the individual and other members of the body of Christ. The Holy SpiritWhat does the Bible say?